Aries is our resident superstar! He was found at a local carwash late on a Saturday night army crawling out of the bushes by a teenage boy whose whole family are animal lovers. They took him in that night but knew they were in way over their heads and put out a Facebook SOS the next morning. 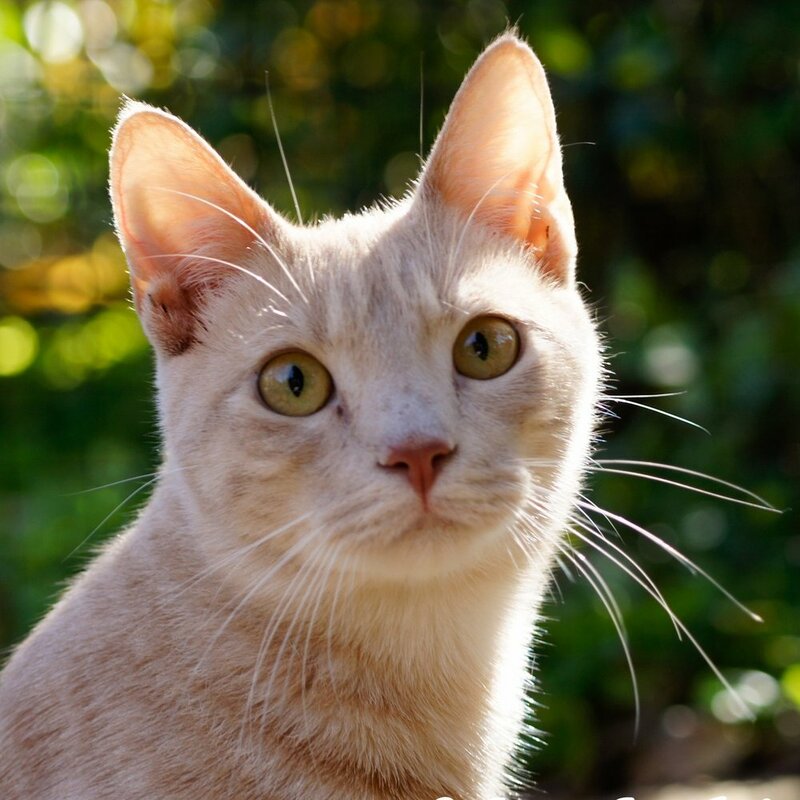 The magic of networking led that post to us, and I (Mimi) immediately contacted them and went and picked him up, not knowing what we were getting into besides a kitten paralyzed from the waist down. Two of our vets met us at the clinic where radiographs showed severe damage and possible abuse. Euthanasia was discussed, but I wanted to give him a chance, and if he was not going to survive, I wanted him to know love for at least one night before we had to let him go. 24 hours later with pain medication, steroids, manual bladder expression, and a tremendous will to live, and little Aries was improving. We were able to rule out abuse and determine he must have suffered a terrible accident or encounter with a vehicle of some sort. Over the next year, he regained full bowel and bladder control, and we treated his spine and rear legs extensively with hopes that he would someday walk. He did regain some feeling and some movement in both rear legs, but there was too much spinal damage and curvature for a full recovery. Still, he is a happy, healthy boy and living life to the fullest here at the Commune! 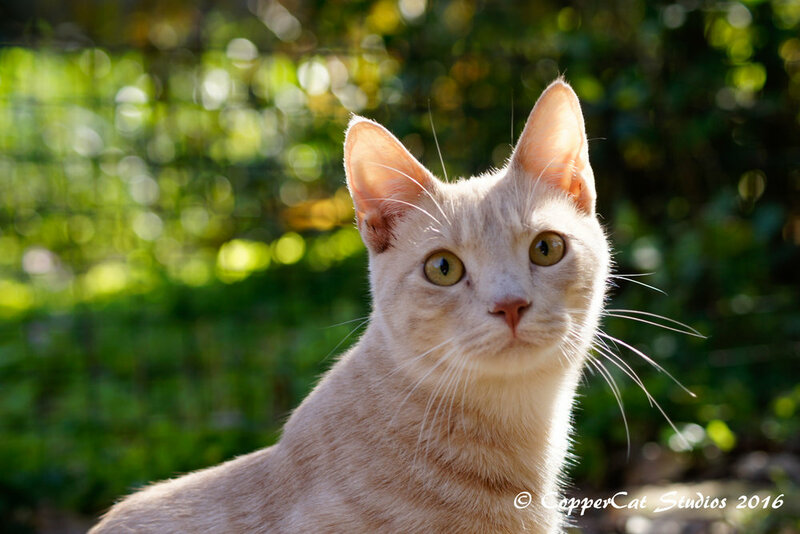 He has a HUGE personality and loves to play and wrestle with the other cats. 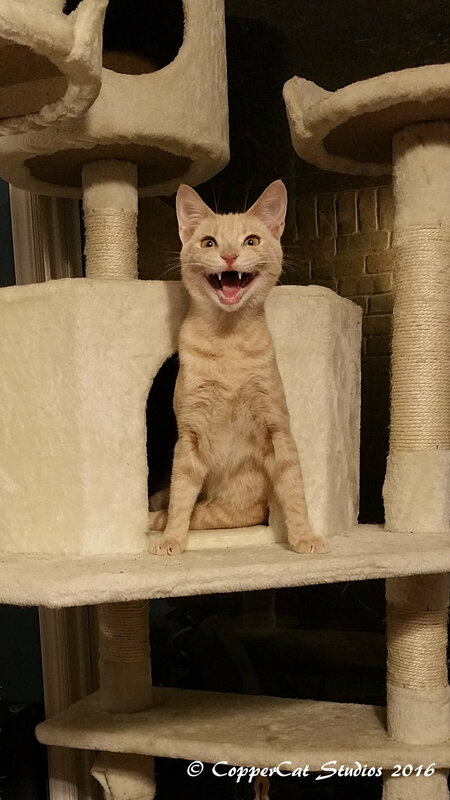 He climbs up and down the cat trees with no hesitation, powering with his front legs and shoulders only – he is a real powerhouse! 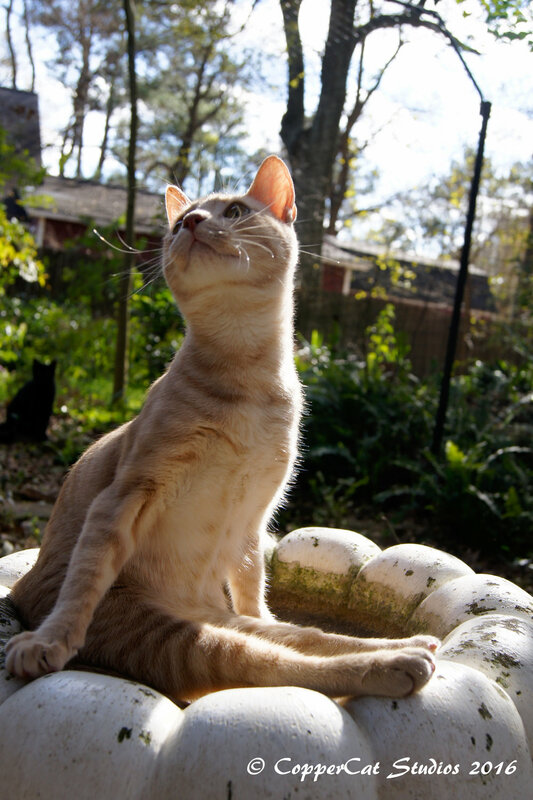 He dearly loves to spend time outside in the cat enclosure, enjoying the sun and warmth here in Southeast Texas.